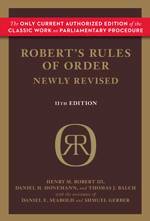 The 11th edition of Robert's Rules of Order Newly Revised is the "current edition" of this authority for the purpose of any organization whose bylaws or constitution provide for the "current edition" to be its parliamentary authority. "(15) All board of directors' meetings shall be conducted in accordance with Robert's Rules of Order, or other accepted rules for the conduct of meetings." "§421J-6 Robert's Rules of Order. All association and board of directors meetings shall be conducted in accordance with the most current edition of Robert's Rules of Order, Newly Revised. [L 1997, c 132, pt of §1]"
"(16) All association and board of directors meetings shall be conducted in accordance with the most current edition of Robert's Rules of Order;"
"(d) All association meetings shall be conducted in accordance with the most recent edition of Robert's Rules of Order Newly Revised. If so provided in the declaration or bylaws, meetings may be conducted by any means that allow participation by all unit owners in any deliberation or discussion." 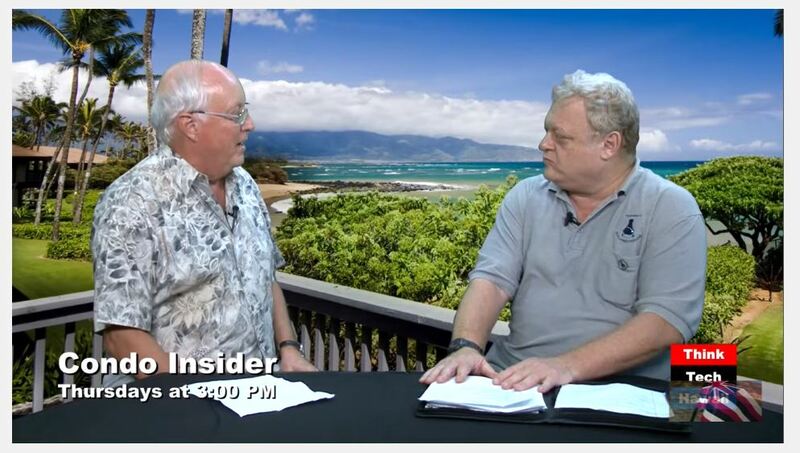 HRS §514B-125 Hawaiiʻs Condominium Property Act on Board Meetings: "(c) All board meetings shall be conducted in accordance with the most recent edition of Robert's Rules of Order Newly Revised. Unless otherwise provided in the declaration or bylaws, a board may permit any meeting to be conducted by any means of communication through which all directors participating may simultaneously hear each other during the meeting. A director participating in a meeting by this means is deemed to be present in person at the meeting. If permitted by the board, any unit owner may participate in a meeting conducted by a means of communication through which all participants may simultaneously hear each other during the meeting, provided that the board may require that the unit owner pay for the costs associated with the participation." Other Aids for Condo & Home Owner Assc.